In Washington, DC exactly 80 years after the founding of our great sorority, 76 women chartered Rho Mu Omega Chapter on October 30. Sisters and sorors Ingrid Watson-Miller and Vanessa Watson-Long, desiring to reclaim many inactive sorors in the area, contacted some of the sorors with the prospect of forming a third graduate chapter. On June 24, 1987 six sorors set the goals, proposed names for the interest group and formed committees. Over the next few weeks the program, bylaws and budget were developed. In July, 23 sorors officially organized the interest group by voting on the above-mentioned reports and accepting the name D.C. Pearls Part III. These sorors toiled tirelessly, attracting new members, establishing committees, bylaws and creating a budget to implement outstanding activities and projects in the AKA tradition. 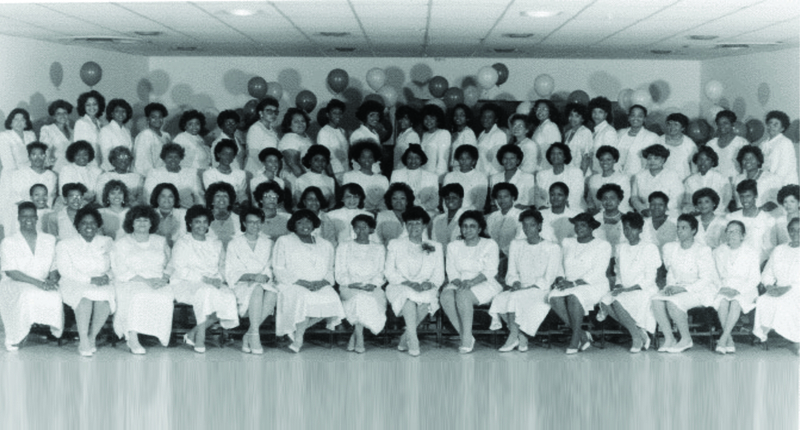 On October 30, 1988, a total of 76 dedicated sorors renewed their solemn pledges as members of Rho Mu Omega Chapter of Alpha Kappa Alpha Sorority, Incorporated. As a chapter, Rho Mu Omega has instituted service projects and signature programs, including HBCU College Tours, Blessing Bags, Breast Cancer races “For the Cure”, Backpack distributions, scholarship awards, reading and tutoring partnerships with local schools, Cotillions, the annual Jazz Brunch Auction, MLK Days of Service, health fairs, mental health awareness activities, blood pressure screenings, financial wellness seminars, Alzheimer’s Awareness Days, heart health promotions and donations to local food pantries. As the chapter evolved over the past 30 years, Rho Mu Omega continued to deliver exemplary service to the community, promote true sisterly relationships and increase its membership from a small, but mighty chapter to a large, powerful chapter of over 200 members in 2018. From the very beginning, Rho Mu Omega has distinguished herself as committed to implementing best practices in effective chapter management, strategic planning and improved methods of evaluation. Rho Mu Omega has been blessed with the superb leadership of 10 visionary Basilei who have exhibited steadfast adherence to the sorority’s missions and goals. With pride and tenacity for meeting the challenges of the targets and initiatives of the Supreme Basilei, this chapter has served faithfully under the administrations of the following chapter Basilei: Ingrid Watson-Miller (1988-1990); Angela Ducker Richardson (1990-1992); Teresa A. Scott (1992-96); Shari L. McCoy (1997-2000); Valerie J. Ducker (2001-2002); Mona Calhoun (2003-2004); Pamela Carter-Coleman (2005-2006); Stephanie R. Allen (2007-2010); Donna E. Davis (2011-2014); and, Sharon B. Falby (2014-present). Each chapter Basileus has brought new energy and inspiration to excel in goal attainment and award recognition on the regional and national level. Among the numerous honors awarded to Rho Mu Omega are: Chapter of the Year, Basileus of the Year, the P.R.O.M.I.S.E. Award, Leadership Award, Graduate Good Citizenship Award, Spirit Award, Outstanding Emerging Young Leaders Award, the Outstanding Officer of the Year Award, Platinum Status of E.A.F. and multiple First Place Step Team Awards. During these administrations, Rho Mu Omega has conducted Membership Intakes in 1991, 1993, 1995, 1999, 2003, 2007, 2011, and 2016. In our service to all mankind, 30 years of service has meant polishing our pearls and taking seriously our oaths to create paths to meeting the needs of our community while spreading sisterly love in all our endeavors. With sisterly love, Rho Mu Omega honors our founders, cherishes our leaders, and attends to our targeted audiences. We have only just begun! The chapter has received numerous awards over the years, which include citations for outstanding programs at the regional and national level; regional Chapter of the Year for 1992, 1993, 1994, 1995, 1997, 1998, 1999, 2000, 2004, 2005 and 2007; Basileus of the Year for 1992, 1995 and 2001 and 2006; the Graduate Good Citizenship Award for 1992, 1995 and 1996; third place regional Leadership Award for 2000, and first place regional Leadership Award for 2001. The chapter also jointly received the first place North Atlantic Region Spirit Award with the two other chapters in D.C., and its award-winning Step Team has received more than 22 trophies, plaques and certificates for outstanding step performances. Rho Mu Omega would like to recognize the rare gems that have touched our lives. We honor the sorors we have loss along the way. Soror Angela Richardson was a true Gem who played an integral part in building the solid foundation on which the chapter currently stands. Her knowledge about the chapter's history was second to none. 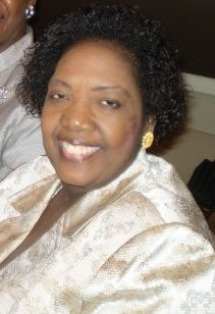 Soror Angela held a special place in the heart of many of our chapter members and she will be missed dearly.